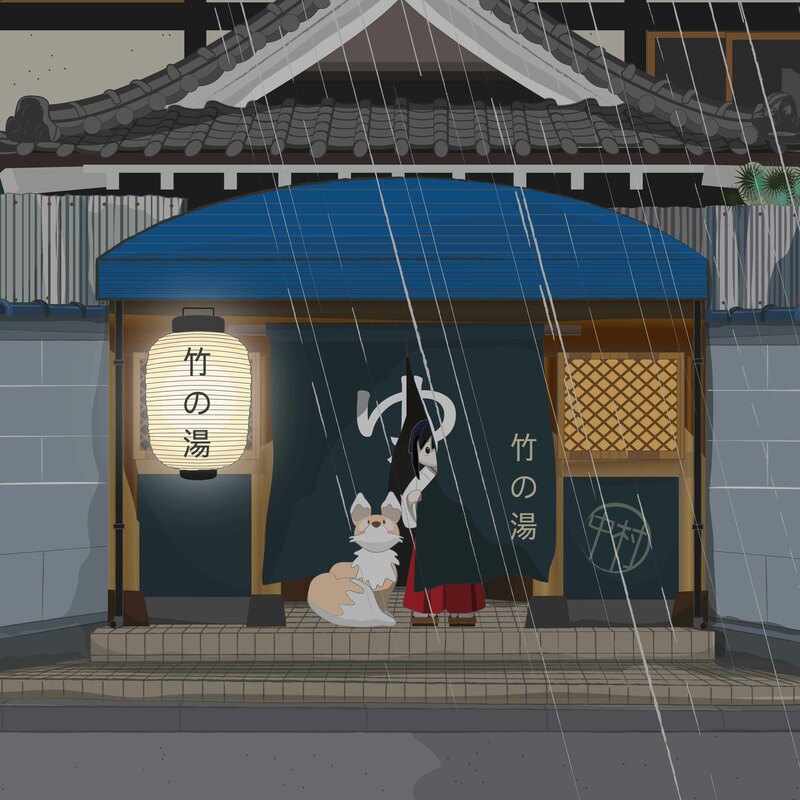 In the heavy evening heat of early August, Kiku and Miko-chan were sitting on the front steps of the Bamboo Bathhouse, listening to the sounds of the street, when they were startled by a sudden very heavy rain shower. As they stood watching from behind the noren entry curtain, they noticed that the rain only fell on one side of the street, making large puddles at the front steps, but leaving the road dry further down, leaving a visible dark line. 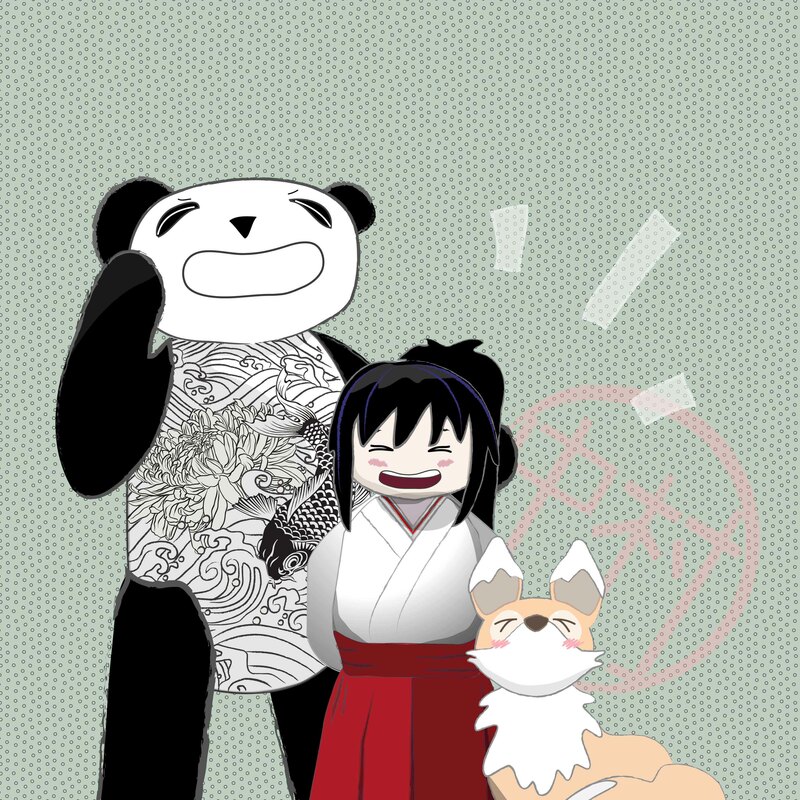 Boss Panda called to them from inside the bathhouse. “Little ones! Its time for a lesson!” The pair rain excitedly inside, for they loved learning about the Japanese language with the old bear, and were also keen to tell him about the strange phenomenon they had just witnessed with the rain outside. As they both rushed to tell him, he began to smile and said, “what perfect timing! 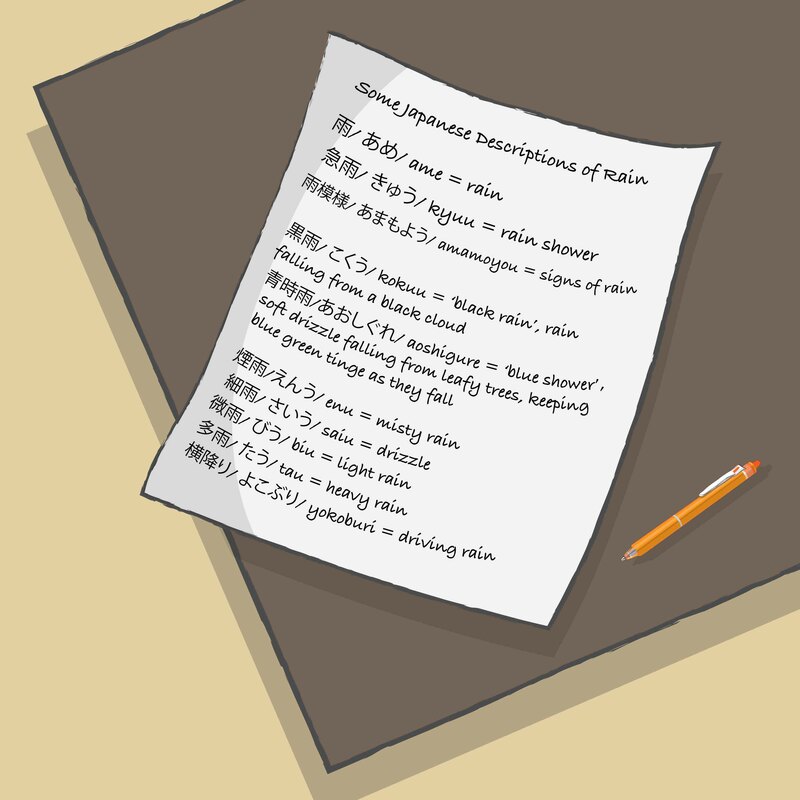 Today’s lesson is about the kanji for rain, and the number of words in Japanese for rain”. The two friends looked at each other in disbelief. “A THOUSAND?? ?” they both said at the same time, and then looking at each other, burst out laughing. 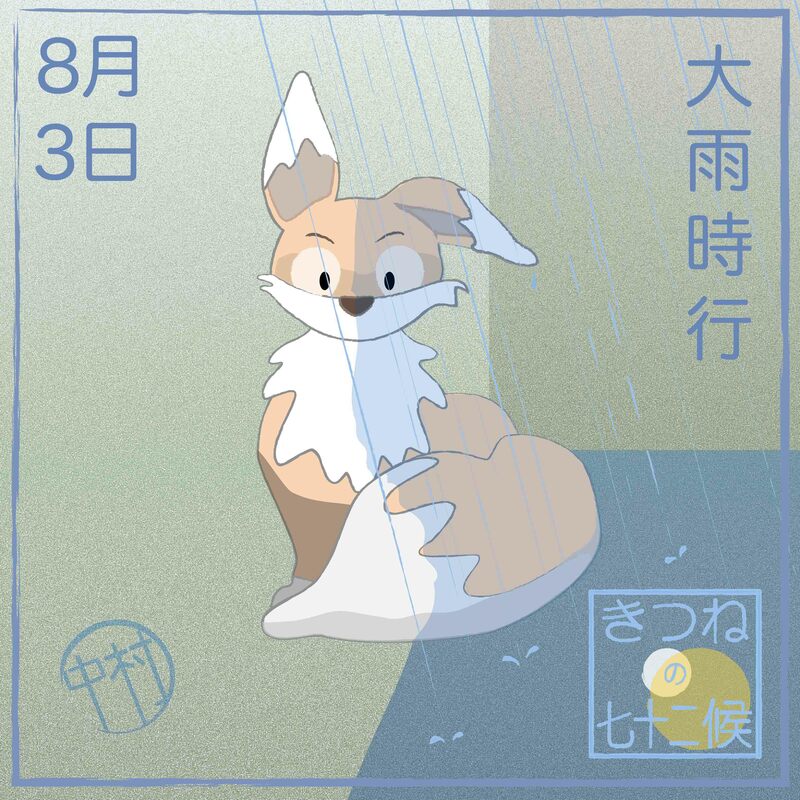 Boss Panda opened the seasonal almanac, which announced that the current micro season (from 3rd to 7th August) was entitled ‘Heavy rain sweeps through at times’. 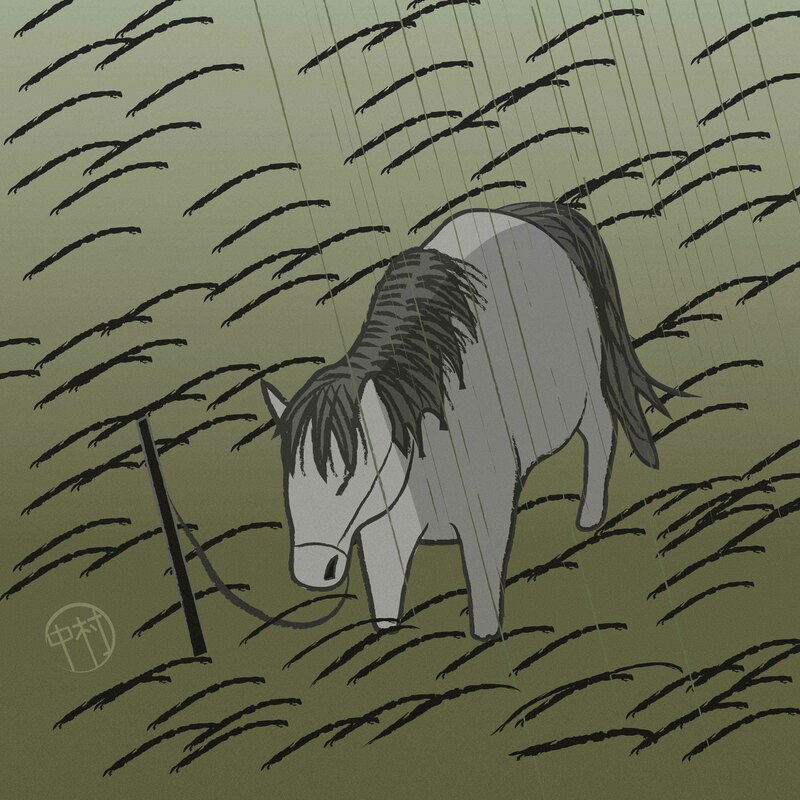 “Sudden heavy rain that falls on a summer evening is called Yuudachi”, he explained, “and there is a Japanese saying that ‘sudden summer rain divides the horses back’ (夕立は馬の背を分ける). 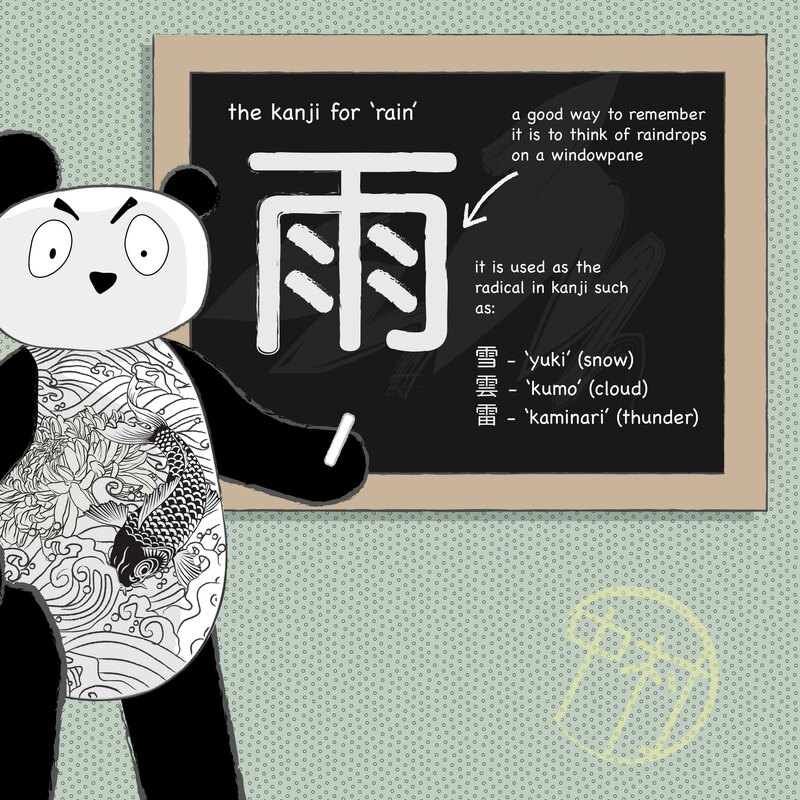 Kiku wanted to know more about the words for rain, and so Boss Panda made them a worksheet with some examples, and they spent the next day discussing the different types. An interesting look at one of Hiroshige’s works depicting yuudachi can be found in an episode of ‘dive into ukiyo-e’ a series using rakugo storytelling to dive deeper into Japanese woodblock prints, shown on NHK World Japan. Rain colours are also discussed. There is a work by Hokusai called “Kitsune no Yomeiri-zu/狐の嫁入図” or ‘picture of a foxes wedding’, which shows farmers rushing to get their crops in during a sudden shower, whilst a fox wedding is going on in the background.